The oldz are taking over! 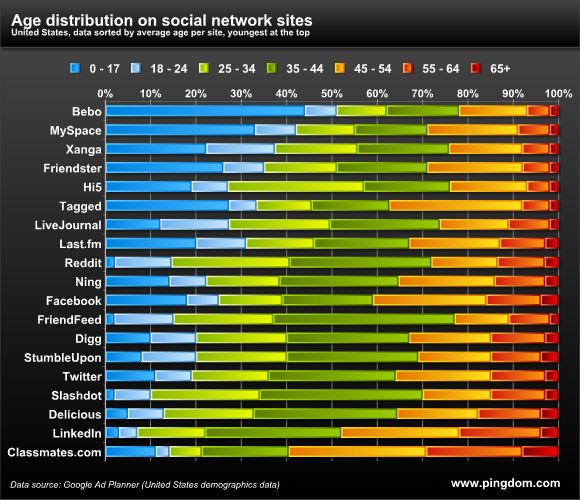 Royal Pingdom crunches data from Facebook, LinkedIn, MySpace, Twitter, Slashdot, Reddit, Digg, Delicious, StumbleUpon, FriendFeed, Last.fm, Friendster, LiveJournal, Hi5, Tagged, Ning, Xanga, Classmates.com and Bebo. 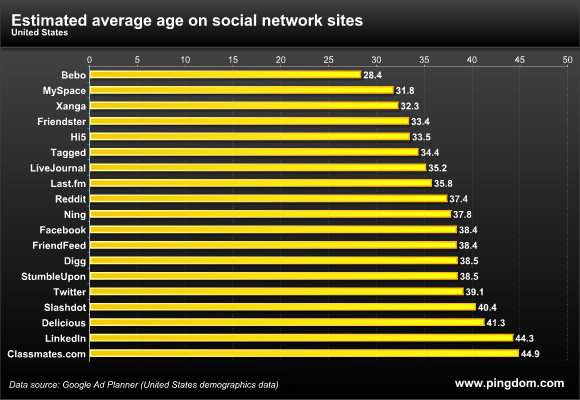 So I guess the message here is that facebook has become a business platform more than a college social network?